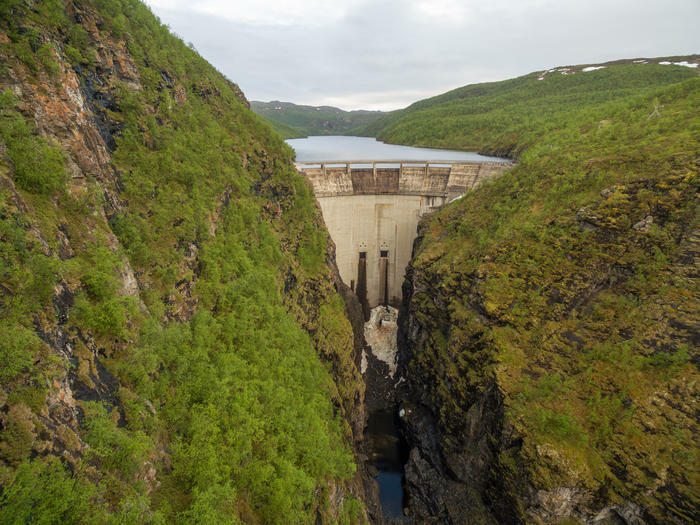 About 98 percent of all electric power consumed in Norway is generated by hydropower. You will not find a similar situation anywhere else in the world. There are more than 4000 watercourses in Norway and in some counties almost all the larger rivers are used for the generation of electric energy. 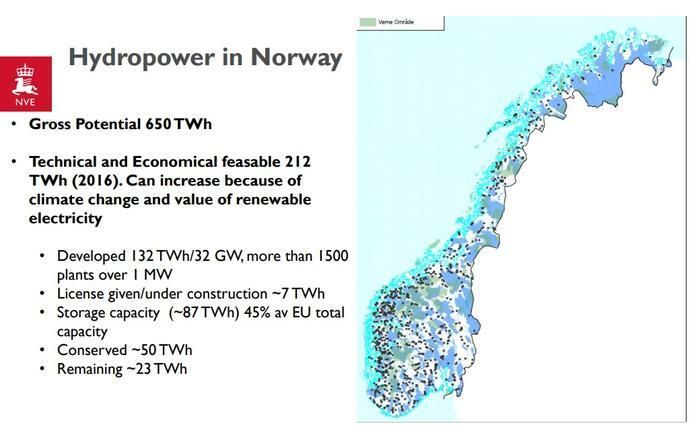 Of an aggregate potential of 187TWh in Norway as a whole, 36,5TWh is protected from exploitation. In addition, large parts of Norway are blessed with a lot more rain than most other regions in Europe. This is especially the case here in the western part of the country where we find most of the hydropower production capacity. Some locations in this region have an annual rainfall of 3000 millimetres. This is four to five times greater than is the case, for example, in Oslo. It is, therefore, no exaggeration to talk about Norway as the hydropower nation. 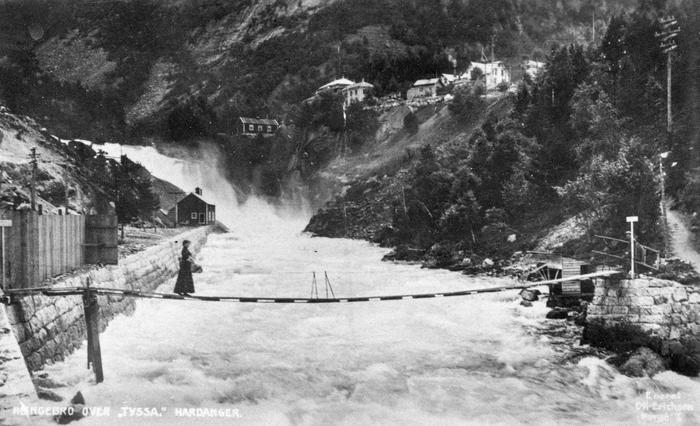 The first hydropower plants in Norway appeared already in the 1880ies, coming very quickly after the actual development of generating technology. However, large scale development of hydropower plants did not occur until the first years of independence after 1905. The years from 1906 till 1920 are regarded as the biggest boom period, the period with the fastest economic growth, in the country’s modern history. There is absolutely no doubt that the power consuming industries were among the most important contributor to this prosperity. During this period, hydropower had a greater impact on welfare development than oil and gas have today. 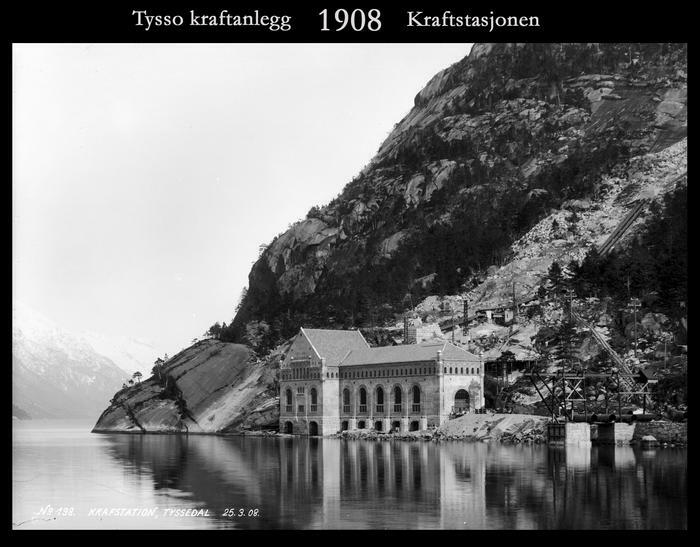 All the large hydropower developments in the decades following the turn of the century were initiated by private interests with foreign capital mostly from Sweden, France and Great Britain. Many of the power-and industry enterprises that were established in Norway during this period, are still among our most important companies, for example Norsk Hydro, Elkem and Orkla. 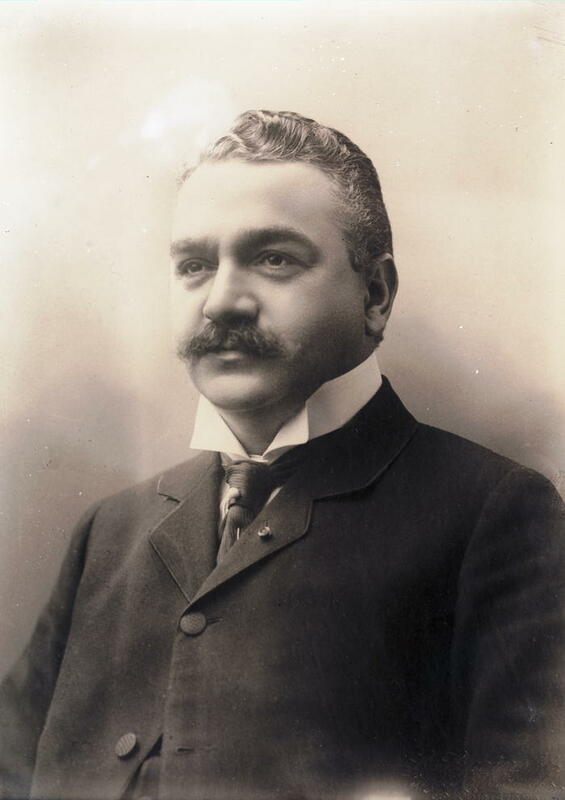 The entrepreneur Sam Eyde was a driving force in the initiation of these industries and it was he who planned and began the industrial development inTyssedal. Several industrial centres like Tyssedal based on the combination of power and industry were established during this period. Odda and Sauda are two of these. In the years prior to the first of these large scale hydropower developments, there had been wild speculation in the trading of waterfalls. Falls were bought and sold several times over and the market value increased tenfold over just a few years’ time. 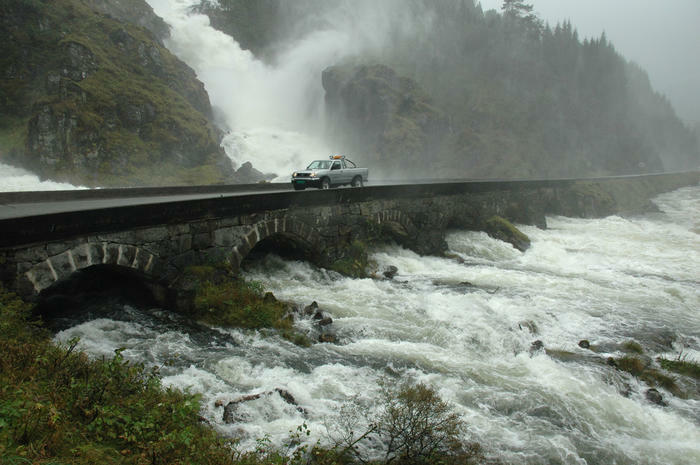 Resentment over this speculation and the fear of foreign investors taking over the most valuable waterfalls in Norway, was the backdrop of the so called “Panic legislation”, passed by Stortinget – the Norwegian parliament – in 1906. The name was earned because the laws were passed very hastily. Norway had won its independence in 1905 and to take control over the country’s natural resources was an important part of building the new nation. The Panic Act brought us the first statuary provisions on concessions, pre-emptive rights and reversion/remainder rights; the government take-over of waterfalls and power plants after a certain number of years. This act, passed in 1906, has constituted the basis of all later relevant legislation. 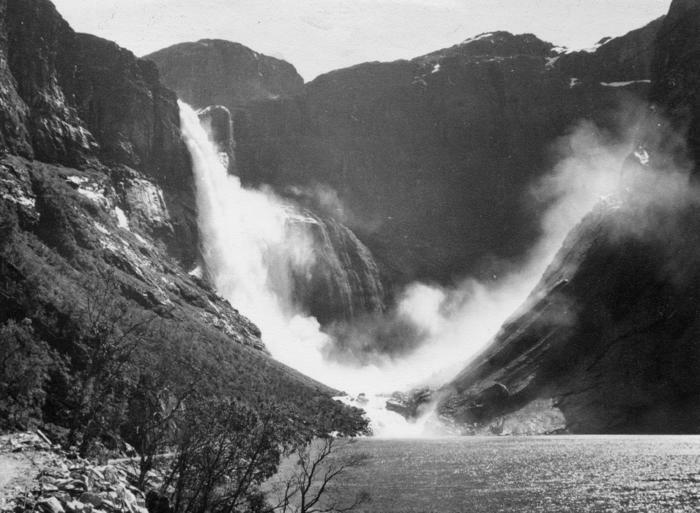 The waterfall Tysso in Tyssedal was the first development to be granted concession according to this legislation, in May 1906. This legislation was also the starting point for increased government engagement in the power sector. Money was granted for government acquisition of water falls, resulting in a number of large scale purchases. The rights to most of our most recent and most well-known developments were acquired already in the period up to 1920. Previously the government had only acquired smaller waterfalls to provide power for new railroads. The acquisitions of larger falls were, however, seldom linked to specific project plans. They were long term and defensive actions. During this period there was a prominent duality in hydropower development. The private sector initiated and financed projects aimed at industrial purposes, while the municipal sector took responsibility for supplying electric power to consumers and small enterprises. This pattern led to the establishment of a great number of small power plants serving their respective local regions. As the demand for additional power grew, both for general consumption and for industrial purposes, it became natural for central government to take the role of power producer and supplier. The Norwegian Water Resources and Energy Directorate (NVE) was established in 1921. Here we find a department that was later to become the stately owned Statkraft with its responsibility for the operation of the State’s power plants. After World War II there was a strong political demand for the realisation of the enormous economic potential of Norway’s hydropower. The development of hydropower for power intensive industry was regarded as the most suitable way of achieving this potential. The State should supply the power, while the private sector should shoulder the industrial developments. This was the starting point of a grand scale development of new hydropower projects which lasted until 1985. Installed capacity increased by more than four percent per year, over long periods. During the pioneering years of hydropower development and during the years of industrial growth after World War II, the negative environmental aspects were more or less ignored. Economic growth was the predominant objective. In the 1960ies and 70ies however, there was a gradual shift in the general opinion and among the planners. 1970 saw the Mardølamanifestation, where conservation considerations for the first time seriously challenged the economic aspects. The Alta development a decade later highlighted a broad spectrum of environmental questions. In 2000 the Prime Minister Jens Stoltenberg declared that the period of larger scale hydropower development is over. Politically, in the 1980ies, there came an ever stronger desire for a reorganisation of the Norwegian power regime. The objective was to achieve improved socio-economic exploitation of the power resources. The idea of more market based solutions was receiving increasing political accept. The result was the Energy Act of 1990. 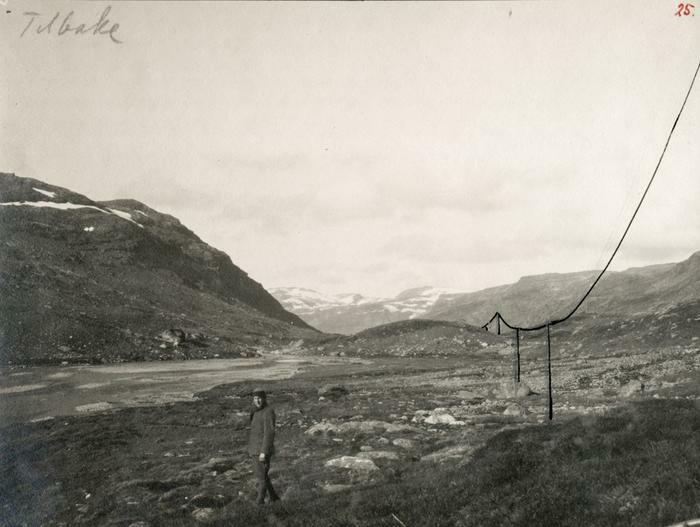 The Norwegian power market was the first in the world to be opened up to general competition. The Energy Act divides the market into a competitive and a monopolistic sector. The competitive part comprises production and sales and the monopoly part comprises the grid activities. The state-owned power plants had therefore to be reorganised in a manner that furthered deregulation and competition. Statkraft was formed to take care of production and sales and Statnett to handle grid activities. For a long period the development of hydropower and of industry were regarded as two sides of the same coin - the one being the driver of the other. Transmission technologies were limited and therefore the power plants and the industrial installations had to be situated closely together, as they were inTyssedal. Some visionary entrepreneurs, with founder Ragnvald Blakstad leading the way, realized already at an early stage that electric power is a commodity in its own right. A commodity that can be traded separately, provided the necessary transmission lines to the market. We can therefore draw the conclusion that electrical power was regarded a tradable commodity several decades prior to the Energy Act. These entrepreneurs and these ideas did not, however, at that stage in time, command the technologies or the customers necessary to bring this to fruition. 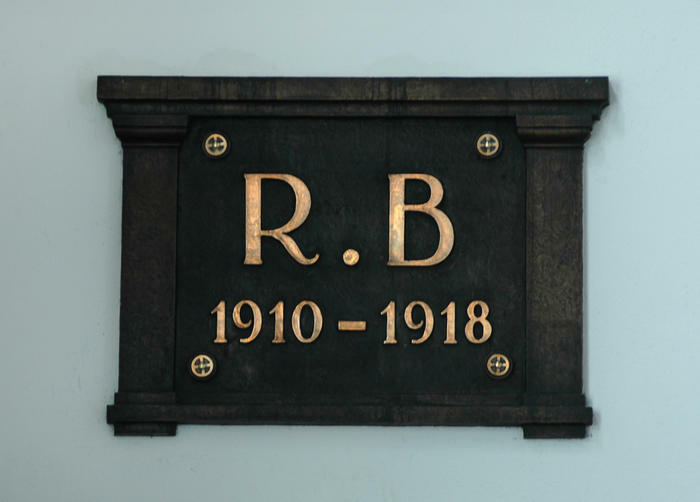 It is Blakstad’s initials – RB – we can see on the front wall of the power station in Tyssedal. As a result of the Energy Act a Norwegian energy exchange was established, and in 1996, after the liberalisation of the Swedish market, a Norwegian-Swedish power exchange, Nord Pool, was formed. NordPool was the first international energy exchange in the world. Somewhat later the Danish and Finnish markets were liberalised and these too joined NordPool. The Nordic countries now constituted, therefore, a common energy market. The profound changes in the power market during the 1990s resulted in a new set of challenges for the power companies. Technological know-how was no longer the sole criterion for success, commercial aspects were just as important. The competencies now demanded to cover a broader spectrum than before and the potential for economies of scale were more evident. This made for a substantial restructuring of the entire industry by means of making way for fewer and bigger players. Taking all pertinent parameters into consideration, hydropower is by far the most eco-friendly of all the dominant energy sources in Europe. Hydropower is a perpetually renewable source of energy which does not adversely affect the global climate. The value of hydropower will most probably increase in the years to come. How we can best exploit yet protect our hydropower resources is therefore a question of political and social importance. 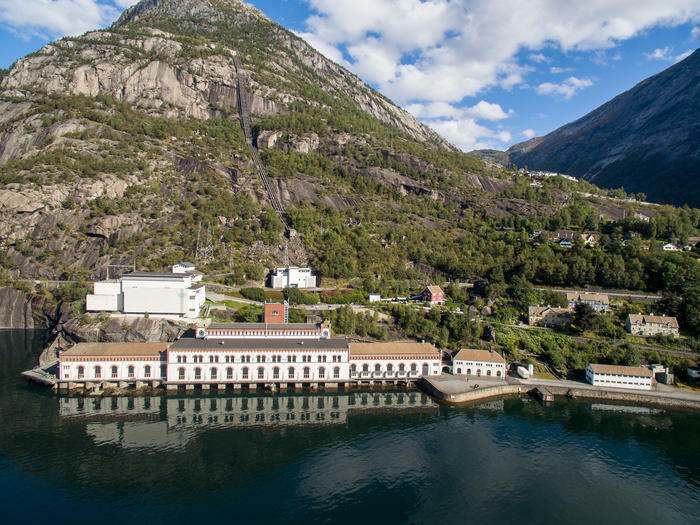 The historical powerplant in Tyssedal gives visitors an exciting introduction to what the development of hydropower is all about. Here we find a full scale hydropower system with reservoirs, pipelines, power station, transmission grid, industry plants and other end-users. From a lecture held by Bård Mikkelsen who was CEO of Statkraft from 2001 to 2010.